Paytm Mall is offering the Wireless Logitech X50 portable Speaker at a discounted price, along with a considerable cashback. There are also discounts on various smartphone accessories. Fancy a Bluetooth speaker? Or maybe a powerbank? 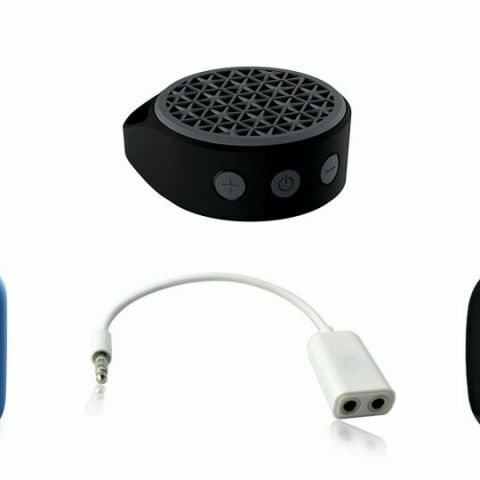 Paytm Mall is offering considerable discounts on these gadgets, along with some hefty cashback. We have also found some good deals on phone accessories like travel chargers, cable adaptors and more. The 11000mAh Intex power bank is up for sale after a 47 percent discount and can be bought at Rs 999. There is also a Rs 200 cashback for those buyers who have the first shopping order of the month. The 20800 Ambrane powerbank features a Li-ion Samsung battery cell and comes with three USB charging ports. The company says that it lasts for about 500 charging cycles. The audio splitter cable adapter comes in handy when you don’t want to share one of your earphones. Simply plug in the 3.5mm audio splitter adapter to your phone and you’ll be able to use two headphones at a time. The USB travel adaptor by JBL is a good addition to anyone’s gadgets as it comes with 1 meter micro USB cable and exchangeable plugs for different regions. The adjustable mobile phone holder can be plonked on your car’s windshield or dashboard and provides easier access to the device. It makes checking navigation less distracting and works well for up to 3.2-inch smartphones. The UE Wonderboom Bluetooth speaker is IPX7 waterproof and claims of delivering 10 hours of audio playback on a single charge. It can be connected to any supported device with Bluetooth and features audio control buttons as well. The Boat BassHeads in-ear headphones come with a 10mm audio drivers and a noise-isolating microphone, enabling users to easily handle calls. The Sony SRS-XB10 claims of delivering of 16 hours of audio playback, thanks to the 1400mAh battery and can also be connected via NFC. It is a 5V Bluetooth speaker, which can maintain wireless connectivity till 10 meters. The Logitech X50 Bluetooth speaker claims to deliver up to 5 hours of audio playback on a single charge and can either be connected wirelessly or via a 3.5mm audio jack. It claims stable wireless connectivity for up to 30 feet and comes with a 1-year warranty as well.